Congress President Rahul Gandhi claimed that the prime minister fights against the ideals and values for which Mahatma Gandhi sacrificed his life. 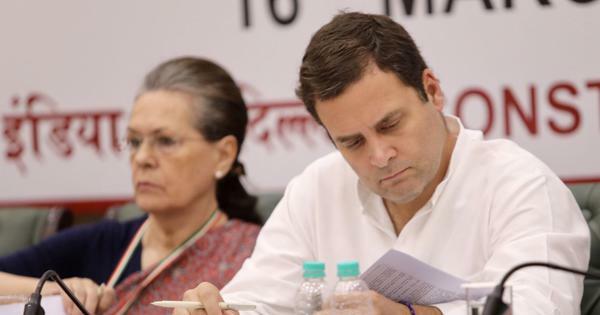 The Congress Working Committee on Tuesday called for a “second freedom struggle” against the Narendra Modi-led government at the Centre to combat the ideology of “hate and violence”. It claimed that the same ideology had led to the assassination of Mahatma Gandhi, PTI reported. During a meeting at Sevagram Ashram in Maharashtra’s Wardha district on the 149th birth anniversary of Mahatma Gandhi, the Congress Working Committee also condemned the use of police force against protesting farmers in Delhi on Tuesday. The meeting, presided over by Rahul Gandhi, was attended by United Progressive Alliance chairperson Sonia Gandhi and former Prime Minister Manmohan Singh. The choice of the venue was symbolic. Mahatma Gandhi set up an ashram at Sevagram in 1936 and spent several years of his life there. It was also at this Ashram 76 years ago that the Congress Working Committee adopted a resolution on the Quit India movement. It was subsequently launched in Mumbai a month later, on August 8, 1942. 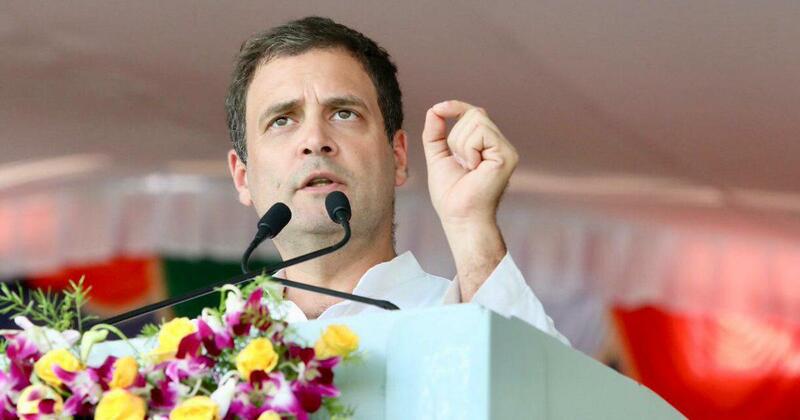 Addressing the Gandhi Sankalp Yatra in Wardha, Rahul Gandhi said that Modi’s assertion on Independence Day that there had been no progress in India before he came to power was “an insult to the people of the country, an insult to Mahatma Gandhi”. “Modi fights against the ideals and values for which Mahatma Gandhi sacrificed his life,” the Congress president alleged. “Mahatma Gandhi fought for truth all his life,” Rahul Gandhi said. “When Modi promised to put Rs 15 lakh in every account, was this a truth or a lie?” He claimed that the prime minister’s promise of providing two crore jobs every year had turned out to be a lie. “[Businessman] Anil Ambani is in Rs 45,000 crore debt,” Rahul Gandhi said. “But Modi gave him the Rafale jet contract. Ten days before this, Ambani had started a new company [Reliance Defence]. How did Modi purchase jets worth Rs 526 crore for Rs 1,600 crore?” The Congress president alleged that the prime minister was unable to “look the country in the eye” because he had put Rs 30,000 crore in Ambani’s pockets. Surjewala said that former Prime Minister Lal Bahadur Shastri’s slogan, “Jai Jawan Jai Kisan” is not merely a slogan but a way of life, PTI reported. “We will continue to fight for farmers’ rights,” he added.